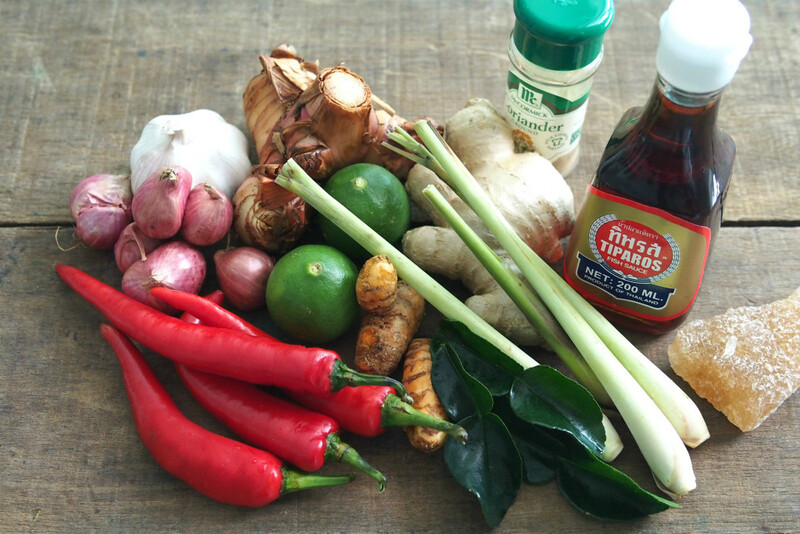 I love to prepare the Tom Yam paste from scratch when I make Tom Yam soup. It's healthier than the ready store-bought Tom Yam paste. 1. Place all ingredients in a mini food chopper or food processor. 2. 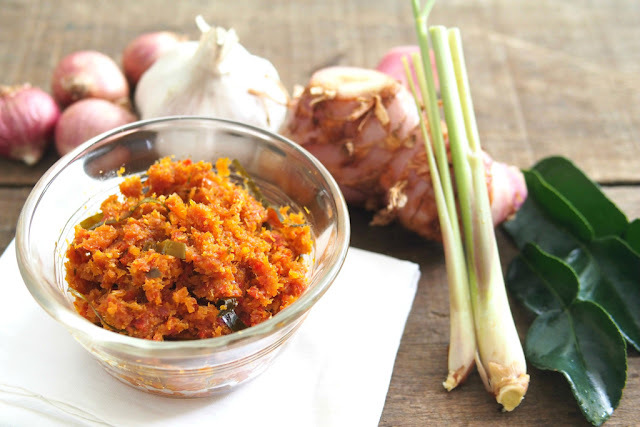 Place all ingredients (A) in a food processor or food chopper and blend it to paste. 3. Heat up a wok with cooking oil over medium heat. Add in all the blended ingredients (A) and stir a bit. Then slowly add in the chopped kaffir lime, fish sauce, brown sugar, salt, coriander powder and fish sauce. 5. Tomyam paste in sealed bottle. It can keep up to 1 week in refrigerator or freezer for months. The Tom Yam paste can be used to cook Tom Yam soup, pasta or fry mee hoon (vermicelli).